Benefits of Hiring a 3M Certified Graphics Installer and Installation Company | ThumbPrint- Printing, Signs and Vehicle Wraps! In order to get the longest life and the highest quality vehicle wrap, it’s important to choose a 3M Certified Graphics Installation Company. Because ThumbPrint cares about their customers, ThumbPrint has gone the extra mile to become 3M Certified. First, the vehicle wrap installation business is examined to be sure they are following best business practices. Next, the installer is given a hands-on test and a written test to demonstrate his knowledge and ability. This test is not easy! 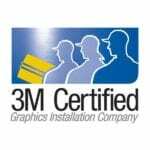 Once the graphics installer has passed the tests, the business pledges to continue to use the 3M Installation Procedures and follow their business ethics. The graphic installation company carries liability insurance. This protects your vehicles when you bring them to be wrapped. 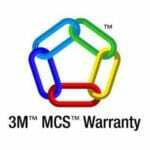 In addition to 3M Certification, ThumbPrint is also certified by UASG and offers the 3M™ MSC™ Warranty. The United Application Standards Group is an organization that represents the best of the industry on the national level. 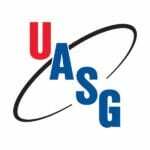 Members of the UASG hold 3M Certification and have been interviewed on site to be sure they hold to a high standard of professionalism. This includes being in business for at least 3 years and employing people full-time. In other words, when a company is part of the UASG, you know you the graphic installer is not just a guy in his garage with some free time and a stack of decals to sell. Through the UASG, ThumbPrint has experienced support and ongoing education so that you can receive the best quality car wrap to advertise your business. What is 3M™ MSC™ Warranty? All aspects of your vehicle wrap will be covered by this warranty since ThumbPrint only uses 3M materials and processes. This includes graphics, removal, printing defects, and other defects. Ask for more details. The bottom line is that ThumbPrint and 3M stand confidently behind their work and products. If you are in the Simi Valley Southern California area, don’t trust your vehicle to be wrapped by anyone but ThumbPrint who is a 3M Certified Installer. Whether you have one vehicle for your home-based business or you have a fleet of vehicles that need to be wrapped, ThumbPrint will wrap your vehicles expertly with the highest quality 3M materials. Contact ThumbPrint for your estimate.